Running Press Adult, 9780762454624, 512pp. In this spin-off novel set within the Zombie Apocalypse, the zombies' intelligence has increased and they have formed themselves into a society and an army. 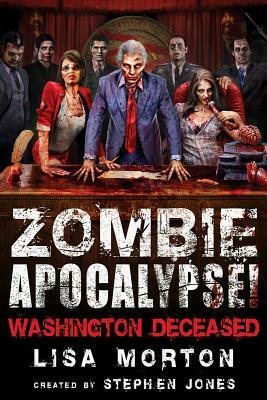 While New York and Los Angeles have fallen to the walking dead, Washington D.C. is still holding out, but time is running out for the battalions defending Capitol Hill! Stephen Jones is one of Britain's most acclaimed horror anthologists. His other collections include Zombie Apocalypse! and The Zombie Apocalypse! Fightback. He lives in London. Lisa Morton is a screenwriter, novelist, acclaimed Halloween expert, and four-time winner of the Brian Stoker award. She lives in North Hollywood, California.